Fields of defoliated cotton always call out to me, but before taking this photo, I had never stopped to get a closer look. There’s something appealing about the fluffy, white bolls — contrasting starkly against the brown, dead stems. That contrast is what drove me to convert this to a black and white photo (good black and white photos have both black and white in them…not just shades of gray). 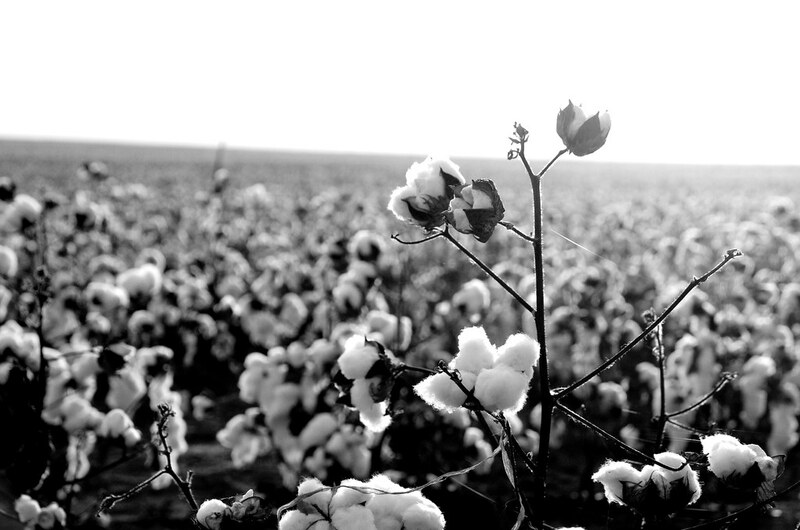 If memory serves me correctly, this particular cotton field was just outside of Abilene. The following picture is of the same field, taken at the same time. The stories that old house could tell! I figured that this would be as good a place as any to go ahead and share the following photo, as well. I was with my parents (driving somewhere I don’t remember), and we drove past a cotton field in bloom. 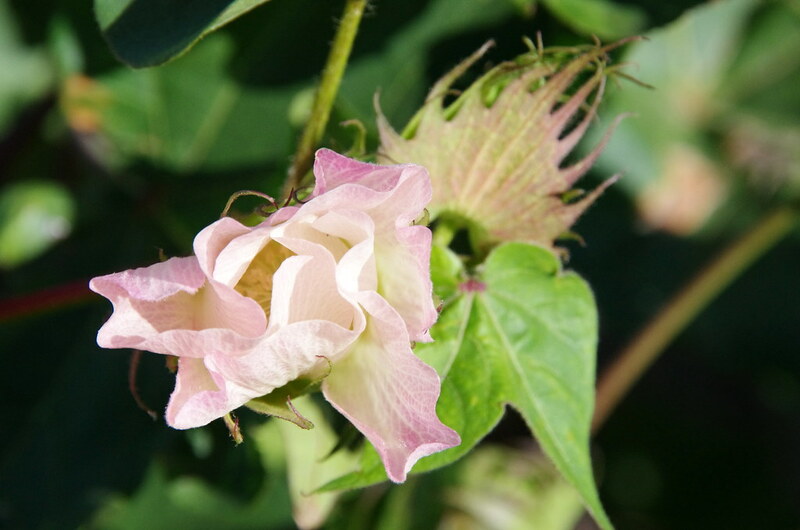 It dawned on me that I had never seen a cotton blossom up close, so Dad pulled over for me to get a closer look. The flowers looked pretty…in a strange sort of way. I never would have guessed that they were pink. Oh, the things we miss when we’re zooming by in our cars. In addition to “wildlife Wednesday” posts (my first one featured pronghorns), I’m also planning to make “monochrome Monday” posts which will feature my favorite black and white photographs (thanks to the suggestion of a fellow Redditor). During our first trip to Brussels we stayed at the Novotel Brussels Centre Tour Noire. The location is decent, and it’s more reasonably priced than other hotels in Brussels — we’d stay there again in a heartbeat. The hotel was adjacent to the Church of St. Catherine (Sint-Katelijnekerk), and we had a great view of the church from our hotel room window. 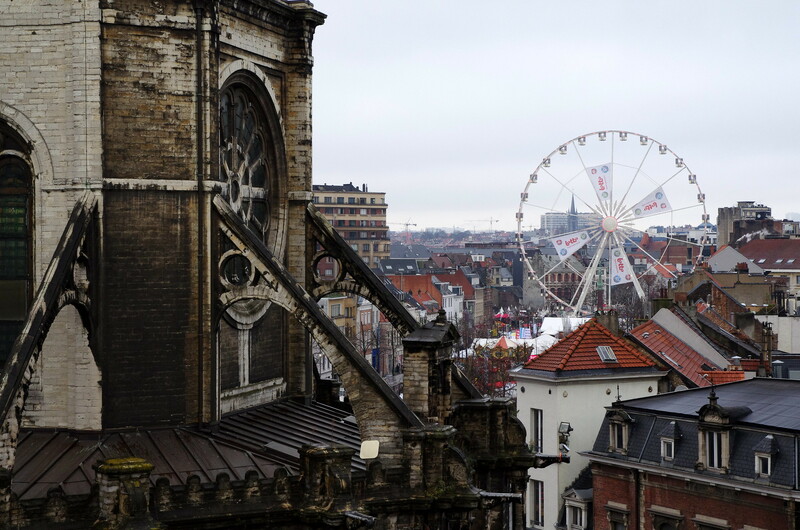 The Ferris wheel that is visible in the background was part of the Brussels Christmas Market. We were able to ride the Ferris wheel a couple of days later. Though the Brussels Christmas Market can’t compete with German Christmas Markets, we did enjoy ourselves — especially the ice skating, crepes, and Ferris wheel! 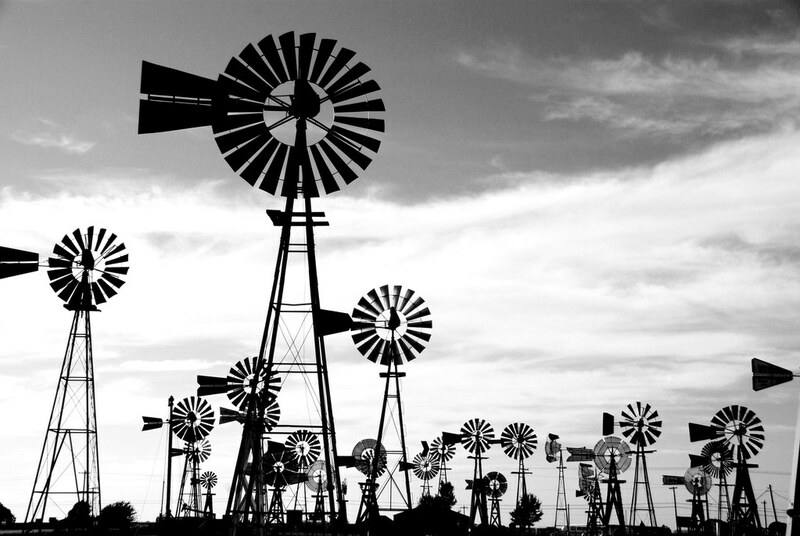 In my opinion, this makes a good black and white photograph because there are both black and white objects in the photo, as well as different shades of gray between black and white. 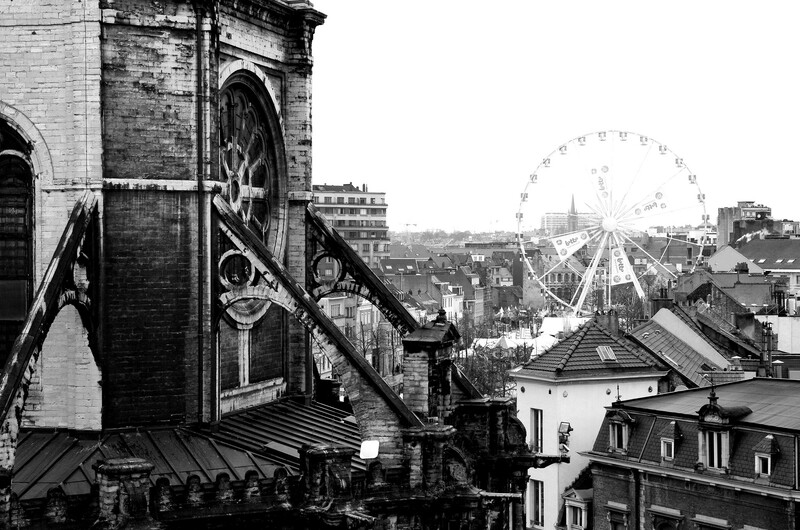 The lack of color gives both the church and the Ferris wheel an eerie feeling that just isn’t there with the colored version of the photograph.